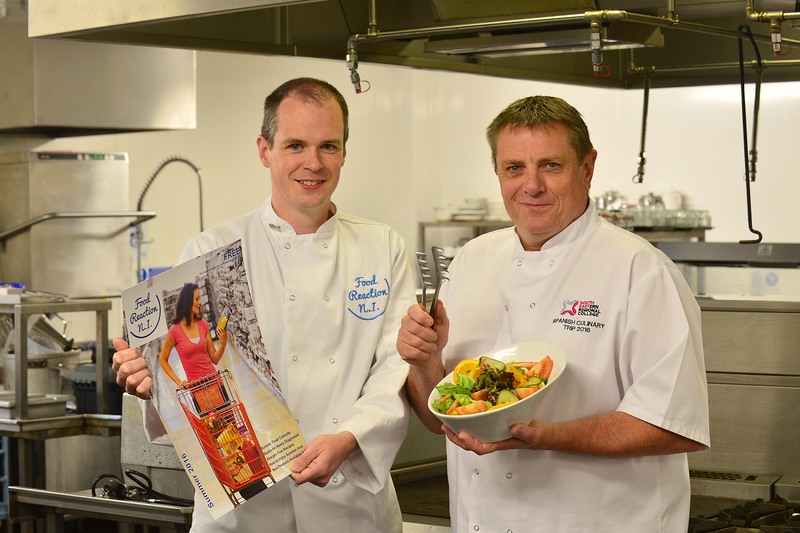 Former South Eastern Regional College (SERC) professional cookery student Michael Thompson from Annahilt has recently published a brand new newspaper aimed at helping people in Northern Ireland living with food allergies and intolerances to food. Northern Irelands first free-from newspaper, Food Reaction NI is a comprehensive guide for people with food allergens or reactions to food which limits their diet. A copy of the newspaper can be downloaded at www.foodreactionni.org or a hard copy can be collected from the Lisburn Enterprise Hub. The newspaper reached the shelves at the beginning of July and features a range of comprehensive editorial features, exclusive allergen free recipes, the latest freefrom products, food events calendar, gluten free sections and summer inspirations. The 38-year-olds inspiration for the newspaper came from a combination of his own obsession with food, ingredients and nutrition, his diagnosed celiac mother, and cooking for his mum-to-be and new born. To pursue his long term obsession with food, Michael enrolled onto a part-time professional cookery course at SERC to gain a recognised qualification and add professional accreditation to his knowledge. Michael is now a fully qualified chef. Michael is also a Director at Gluten Free Ireland which was launched in 2010. Since then www.glutenfreeireland.com has become one of the best known and most active communities for people with Coeliac disease in Northern Ireland and Ireland.